All Melon: There are 3 products in this category. 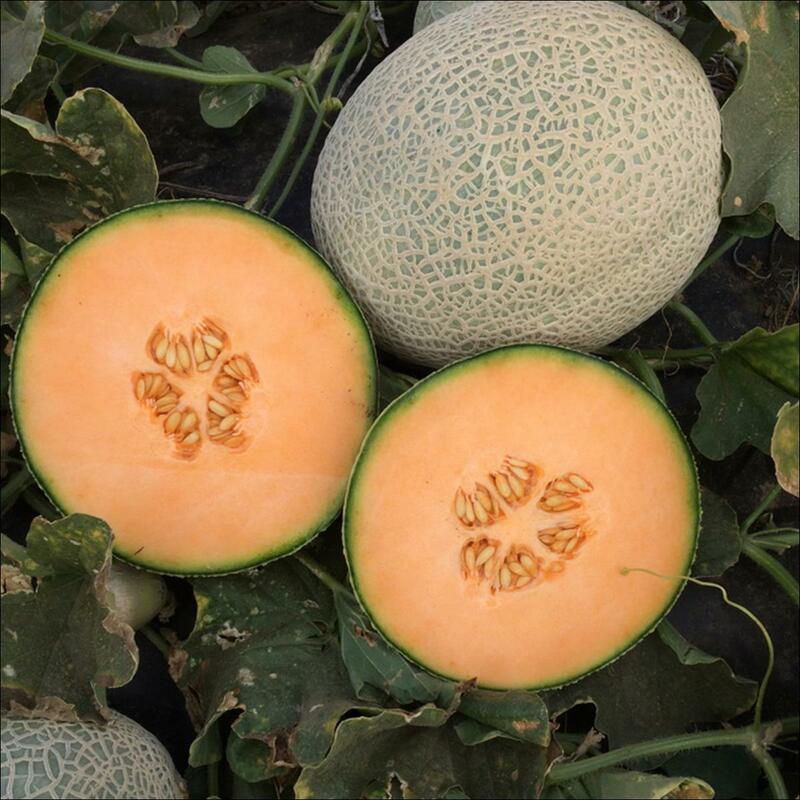 A new rock melon with exceptional shelf life, high brix and excellent flavour. 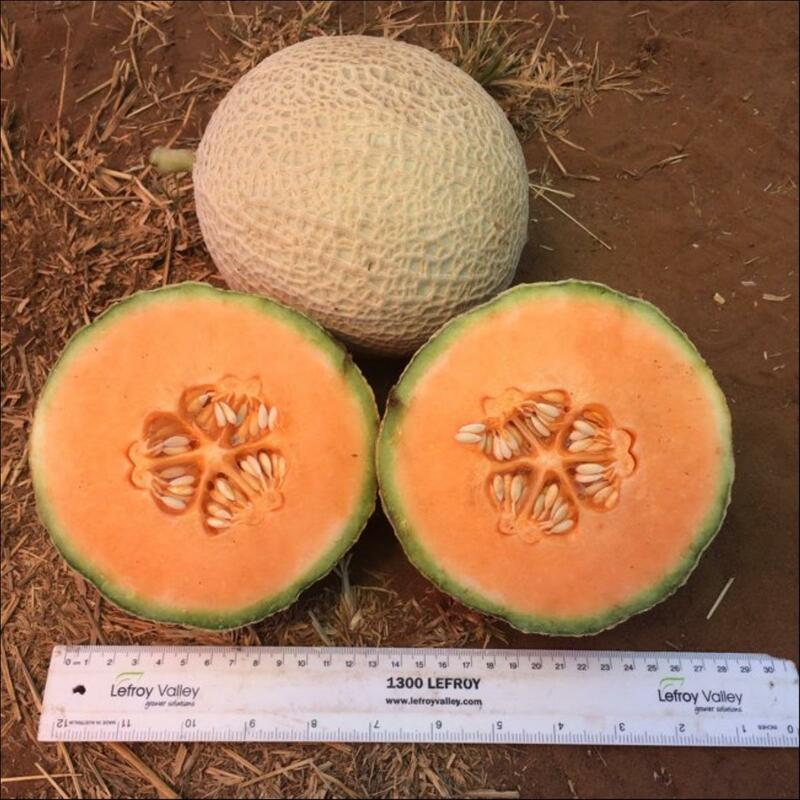 Fruit are oval to round with an open net and a very intense deep orange flesh, performs best in the heat. Very strong plant with good fruit cover. 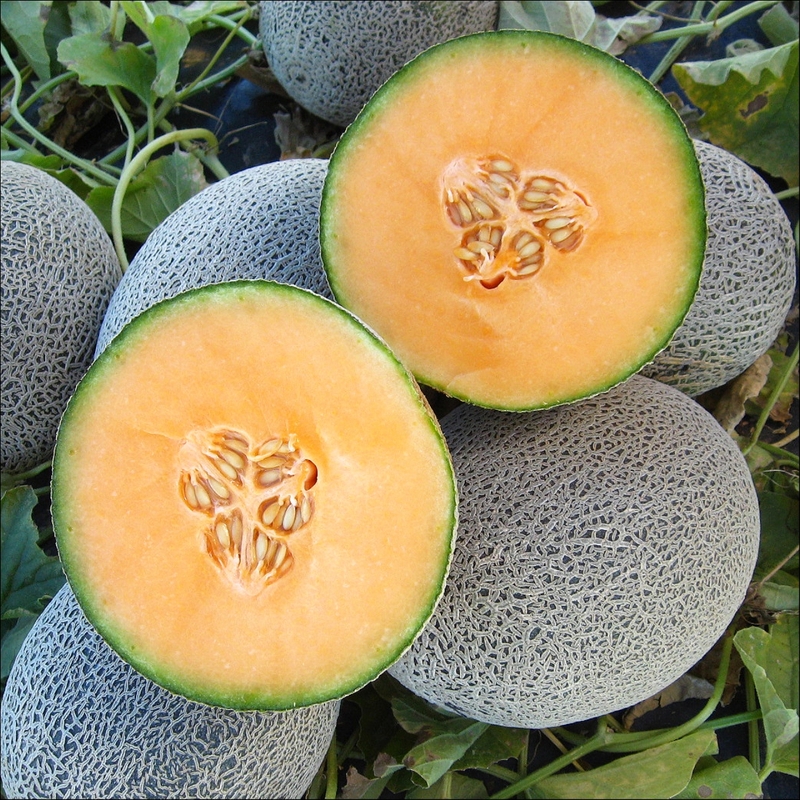 Fruit are round to oval, a deep orange and firm with a good brix and flavour. Strong closed netting without suture and weigh 1.9 to 2.4kg, has IR: Fom 0-2 & Px. Harvest in the shoulder seasons - cool to warm and warm to cool.